If you’re a blogger and perhaps your blog is hosted on Blogger, WordPress or any other hosting services and you have limited bandwidths to host your blog files like images and videos used in your blog posts. As a result you may have to pay to host your images on other hosting sites, though there are free image hosting platforms available on the internet, but since they’ve free and premium hosting plans, the focus of most companies is ultimately to make money and as a result you may find that the so called “free image hosting services” have limitations to encourage you to switch to their premium plans. You need a site that’s not designed to host images for blogs and won’t mind if you use it do that. That’s where Facebook comes in, taking advantage of Facebook unlimited bandwidth can help ease the storage load on your blog’s hosting platforms, most importantly you’ll know that your files are safe. 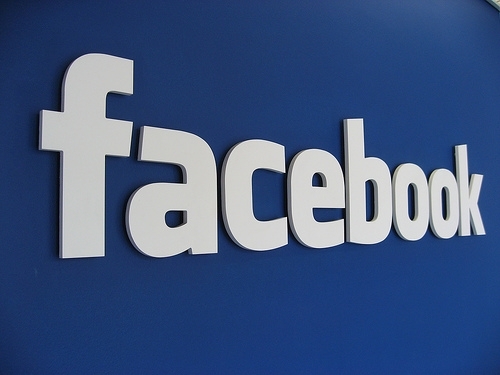 Facebook allows you to upload and publish images and even videos on your timeline. The following steps will teach you how to host images on Facebook for free. You can easily embed images hosted on Facebook on your blog posts. 5. After it has uploaded copy the link by pointing your mouse to the image and right clicking it. Now after hosting your images or even videos on Facebook, you will need to use them on your blog posts so as to reduce the load on your server and save bandwidth especially if you are on a limited hosting plan, so follow the guide below carefully to use the images you hosted on Facebook for your blog posts. First log on to your blog’s administrative area, go to dashboard and click on the new post button, compose your article as you usually do. You can give spaces for the images so as not to get distracted. And replace the Facebook image url with the Facebook image url you copied above and add a good descriptive text or alt tag for the image. Here is an example, the image below is hosted on Facebook and embedded on this blog post, right click on the image, copy the image url and paste it on notepad to reveal that the image is actually hosted on Facebook. Then you can go ahead and publish your post if you are satisfied with the positioning of your image in the blog post. Is fine when blogger’s take the initiative to minimize their blogging cost while maximizing their revenue and this little things like minimizing the use of your blog’s bandwidth counts. I hope this tutorial helps you to easily host your images on Facebook and use them on your blog posts so as to reduce bandwidth consumption and improve page load time. You can add your contributions or questions below using the comment form. If you like this post and will like to get more of my articles straight to your inbox so you won’t miss out on any, simply subscribe to my RSS feed. Facebook Ads – What Am I Doing Wrong? I’ts a useful post. Most of my friends who are blogging in blogspot often ask me where can they upload their image to display on their blog. Apart from all other methods, Facebook too can be a good place. Your post works as a good reference point to show them. Great! Great! I never thought I would ever be hosting images on Facebook. This is perhaps one of the useful post Chimatim. I’m not sure I’ll use it anytime soon or not since I’ve dedicated hosting. There are good image hosting platforms available too. Also, it doesn’t sound good to me to host these images over at Facebook. Personal opinion though. This is indeed a very nice and intelligent post. I love how you put us through the post, its so unique and fun reading :) . Thanks Suresh, Yes Facebook can be a free image hosting platform where one can host images and use it on his blog. Thanks Yogesh for your comment. I also linked to an article i published earlier about free image hosting services where one can also host images fr free, so even if you won’t use Facebook to host images the other services could be useful. Thanks Babanature, Facebook is indeed a great place to host images especially if your privacy setting is set to “only me” as highlighted on the article and newbie bloggers will find this interesting. Nice trick for the bloggers to host the images in Facebook and use it for the blog posts. Will try to implement it, thanks to the guest blogger for sharing this useful piece of information. Thanks all for your comments. You’ve to note though that there isn’t a better secure website on net than Facebook. Other free file hosting sites may decide one day to delete your files and you can’t do nothing about it or some guys may decide to hack them. For example, the issue with Liberty Reserve. This is an interesting tutorial. Hosting photos on Facebook is something I’m going to give a try as well! Thanks! Great News . As a blogger we all upload images to other image hosting site like flickr to reduce the space of you hosting account . and it will also speed up your site because you images are hosted to face book . Thanks Nirmala for your comment, i hope you find it interesting. Goog to know you will give it a try…thanks for your comment. Yes hosting images on other sites help reduce the load on your server and make your page load faster. Wao…! Its nice way to host images for free. Currently I am using flickr to host images. I will try to add some images in Facebook. I think Facebook will load my images faster than others. Thanks Mubashir for your awesome comment. All the images you upload on Facebook are hosted for free, so you can link them on to your blog posts. I usually get Images that I like from Facebook! Cool! This is really an informative and very detailed. Thank you for sharing this one. Thanks you Cassie for your compliment. Nice one bro Nwosu, these’s easy to understand tutorial. Thanks for sharing and do have a successful weeks ahead. thanks victor for your compliment. Glad you found it interesting. Do have a great weekend.